Joe Weitekamp offers all levels of horse training from colt starting to performance reining. Whether your needs are for a refresher course for your horse or foundational training, Joe can work with your horse and transition it into a more polished horse that you will love to ride. Make your horse safer. Many horses are a danger to their owners. They spook at everything. They run their owners over. They buck or run-away with their owners. If your horse is like this, you may find you ride less and less because you aren’t comfortable with your horse. That is understandable. Who wants to risk life or limb around a horse like that? Fortunately Joe can help. Joe has a gift for working with difficult horses. 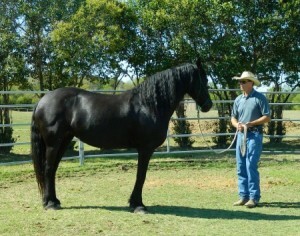 Joe can work with your horse and teach the horse to respect you more. But Joe doesn’t just work with the horse. He’ll also teach you how to be a leader to your horse. He will teach you how to work with your horse so you can keep your horse safe. Fill in holes in your horse’s training. Many horses only get 30 days of training in their lives. That is not enough time to introduce all the fundamentals much less have a finished horse. It’s no wonder so many people have problems with their horses. Their horses need more training. If you horse doesn’t know how to do simple things, like sidestep over to open a gate or how to stand quietly while you mount, or to simply load peacefully, you should bring your horse to Joe. He can quickly assess where the holes are in your horses training and give your horse the training it needs. You’ll enjoy your horse more and be glad you did. Condition your horse. If work and life have made it impossible to keep your horse fit, have Joe work with your horse and get him in condition for you. If there is an upcoming event, be it a trail ride, a competition, or simply a horse vacation, send your horse to Joe for conditioning. Joe’s horse bootcamp will work off that hay belly and put muscles back on your horse. A fit horse is a happy horse. Refresher Course in horse manners. Your horse may have used to be fun to ride, but over time seems to have forgotten the rules. Let Joe work with your horse and give it a little remedial training. Horses can develop bad habits if we let them. Let Joe bring your horse back and then Joe will work with you so you know the signs that your horse is trying to get the better of you. Joe will teach you how to keep your horse honest. Start Your Colt Right. One of the best things you can do for a young horse is to invest in proper training. If you have a young horse, Joe can start your young horse out properly which will make all the follow-on training go better. Joe specializes in horse training. You may not have the time or knowledge to properly train your horse. Joe is a full time horse trainer with a proven record of success training horses. Joe has worked with some of the hardest horses to train from wild mustangs to PMU rescues, and he’s transformed them into great riding horses. Joe uses humane natural horsemanship techniques that teach your horse to be your partner. If you want to enjoy your horse more, call Joe Weitekamp at 469-245-7821.